Digilent booth prepared to receive its visitors. The popular Analog Discovery and the Analog Parts Kit were the center of interest at the Digilent booth. 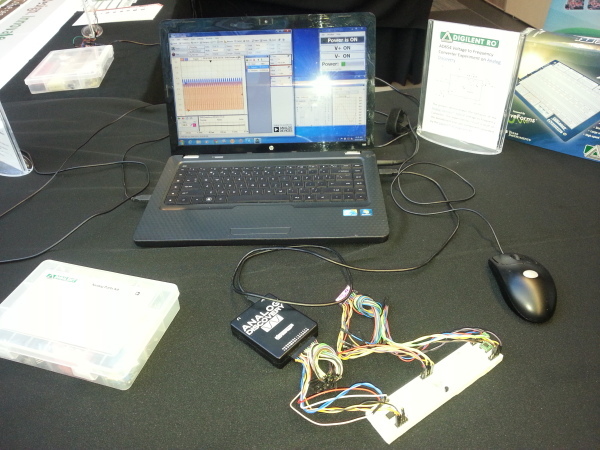 The demo shows the behavior of an Analog Devices™ AD654 voltage-to-frequency converter. Analog Discovery voltage-to-frequency converter demo. 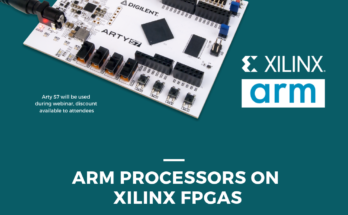 The new FPGA Basys 3 board for entry-level use, based on Xilinx Artix-7 and exclusively designed for the Vivado Design Suite. 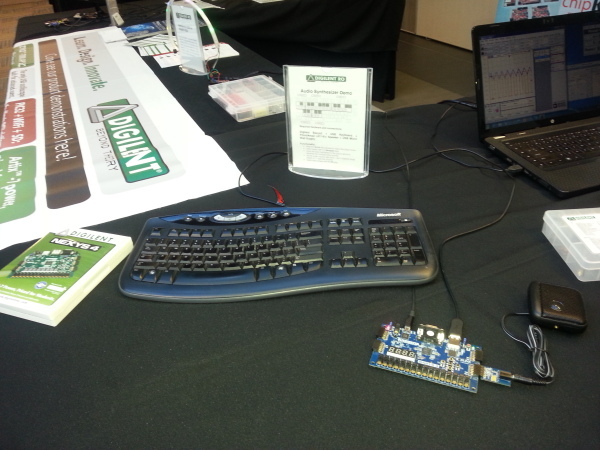 With the help of a Digilent peripheral podule (PmodTM AMP2), a keyboard, and a speaker, the Basys 3 is turned into a piano synthesizer. Basys 3 piano synthesizer demo. 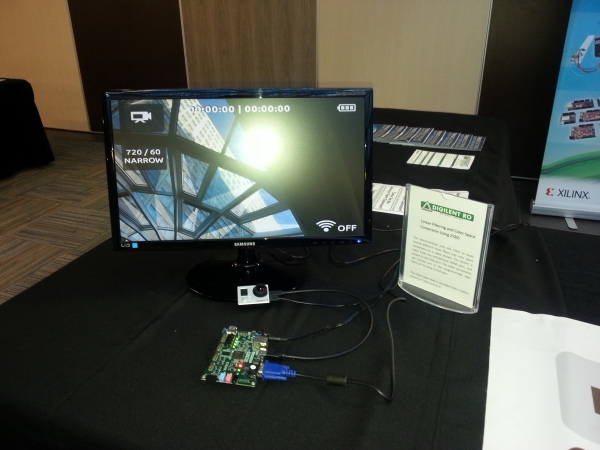 The Zybo-based color filter demo– image processing for advanced users. 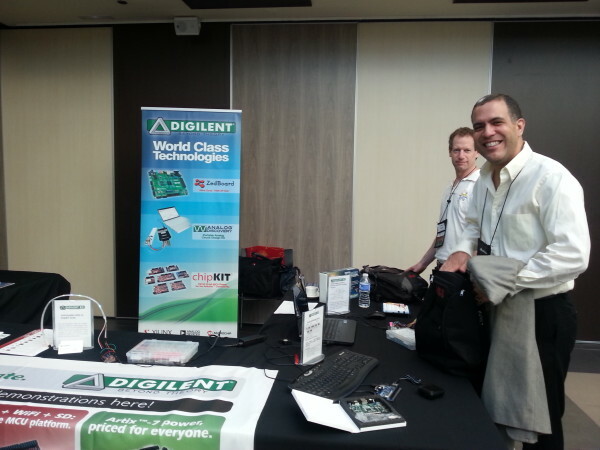 Digilent showcased the WS 2812 addressable LED strips controlled by a chipKIT uC32 board demo – you can find it on Instructables. I was excited to meet customers interested in either existing or upcoming products, with others saying, “ I just wanted to stop by to tell you how useful your products are”. 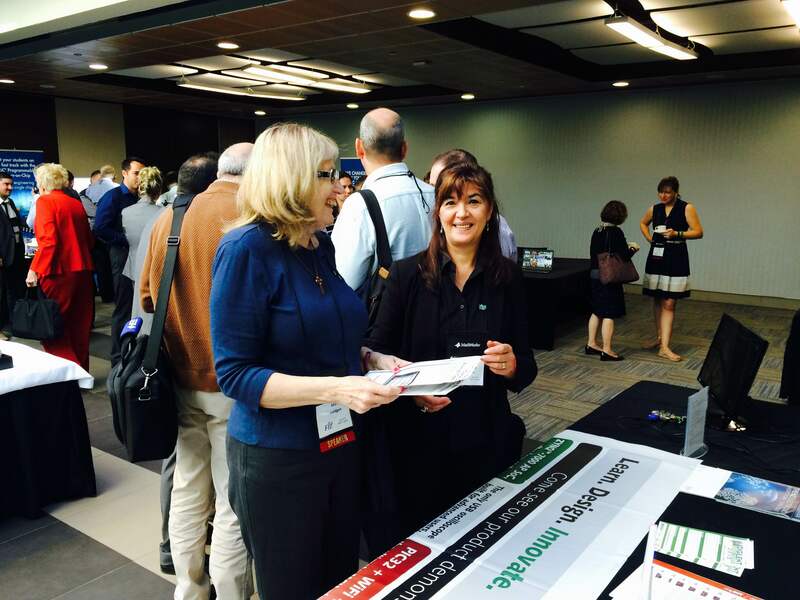 Photo from a professor interested in Digilent learning tools. It was a great opportunity to talk about our Digilent Design Contest generally, especially about the EU section, which was launched few days ago. 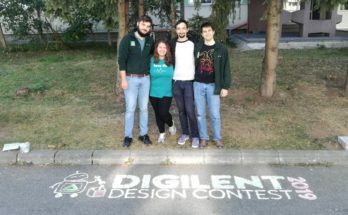 Stay tuned on our site for the contest, http://www.digilentdesigncontest.com/, for news about this event open to all students enrolled in a technical school, college, university, or other educational institution. You can also post your comments on our forum at https://forum.digilentinc.com/! 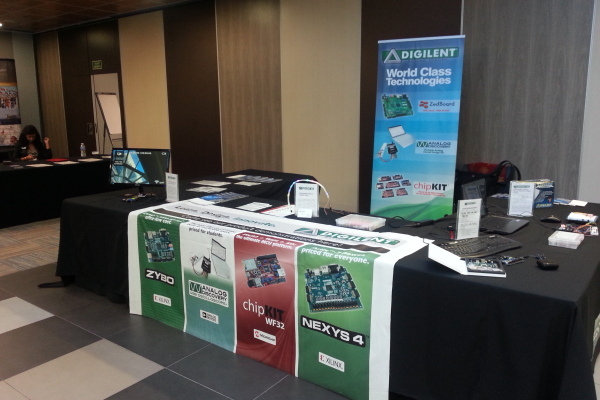 It was a good opportunity to meet the community collaborating with Digilent and Trenz in our joint mission to make the latest technologies available to students and instructors.